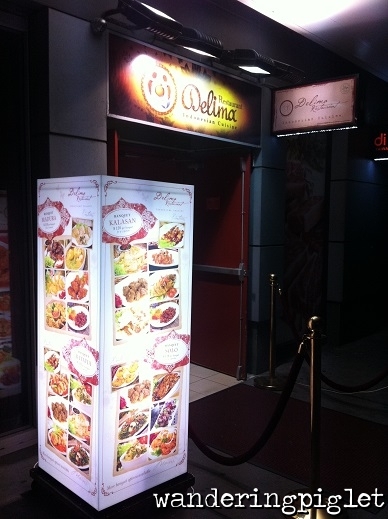 Just walking past the pedestrian walkway of Dixon street, Delima is quite easy to miss. You can’t see the restaurant from the street level, all you see is a stand with their menu and a large set of white glaring stairs. Not a terribly inviting first impression, but as you walk up the stairs, the decor improves incredibly. You are greeted by a water feature, then an entrance foyer and counter. 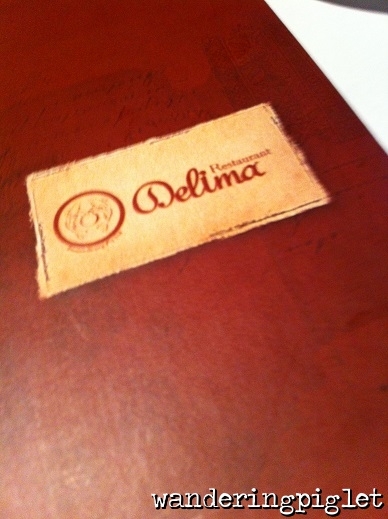 The restaurant is very spacious and the tables are generously spread out. You can even book or ask for your own little alcove if you would like some privacy – for that business meeting, a romantic table away from people, or a rowdy chatty catch up with a few friends with without wanting to disturb others. The other tables are sectioned by beaded curtains or in the main open area. 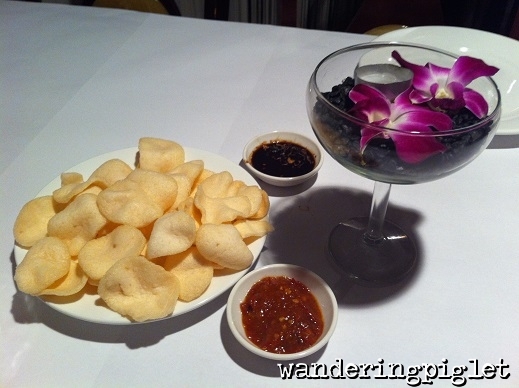 You are first provided menus and crackers with some chilli and dark sauce. I love these, especially when my tummy is gnawing with hunger pains! Really enjoy their chilli, it really has kick to it. 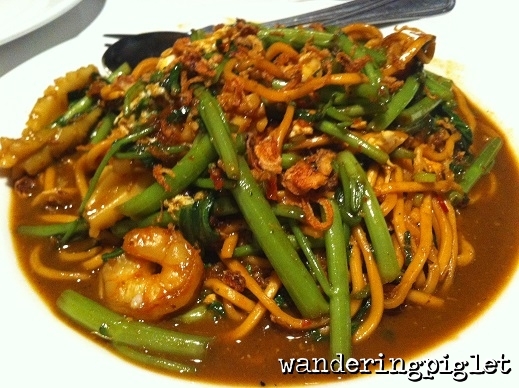 • Mee Kang Kung Belacan – fried noodles with kang kung vegetables and belacan. I really enjoy tucking into this dish, but be warned, this dish gets hotter as you eat more of it, before your know it your mouth will feel on fire! I think it is well worth the big gulp of water you’ll need at the end of eating this dish. 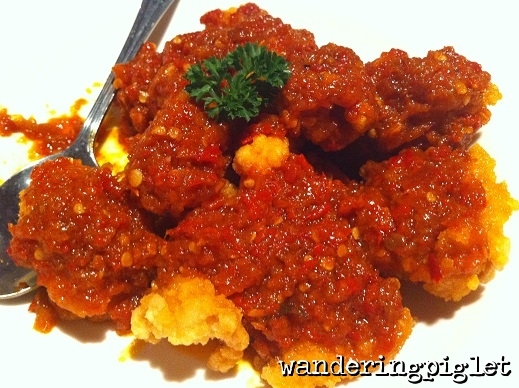 • Ayam Cabe Hijau – deep fried marinated chicken topped with green chilli. • Tahu telor – beancurd dish. 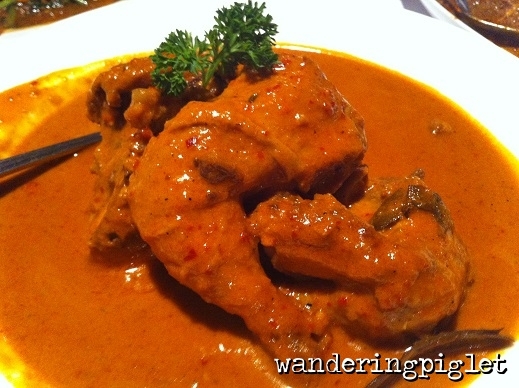 • Ayam Mbokberek – chicken slow cooked and then deep-fried with a sweet based bay leaf marinade. 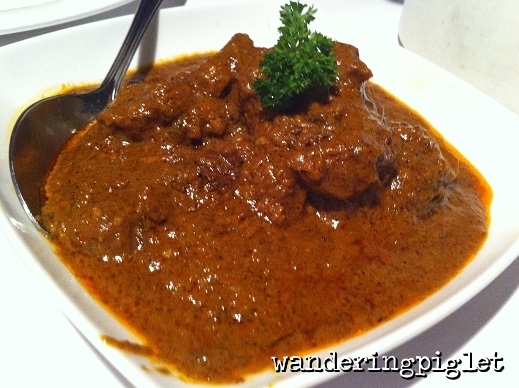 I have tried the Tempe Tahu Kuning – must say I didn’t really enjoy this, but my mum loved this dish. So I would say with some dishes – to each their own! All in all, good quality food and good portion sizes. This is very authentic Indonesian food, full of flavour and impact with every bite. The service is attentive and pleasant, and I think this is a great value for money establishment.